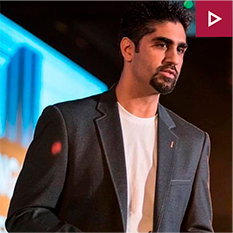 If you’ve recently heard of Depesh Mandalia you might know him as a Facebook Ads guy. He’s also spoken at worldwide conferences and events as he’s passionate about sharing knowledge and experiences with people in-person as much as he does online. He also runs his own Masterminds and events together with a group and one-on-one coaching. He’s also an advisor and an advocate for Facebook SMB, supporting Facebook with speaking at external events and internal team days, providing regular feedback on ways Facebook can improve support for small and medium-sized businesses to further his passion on helping people grow their performance through Facebook Ads. Full-suite approach covering unique angles to audiences, creatives, ad set optimization, funnels, automation, and of course, bulking AOV and LTV for long-term profitability. The best tips he, himself, gathered from auditing and running 100s of Facebook ad accounts and generating over $100M since 2005.